Olive Ewe! 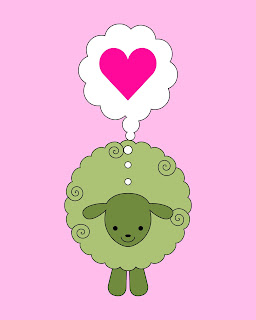 I hope you like this little Valentine sheep as much as I do. 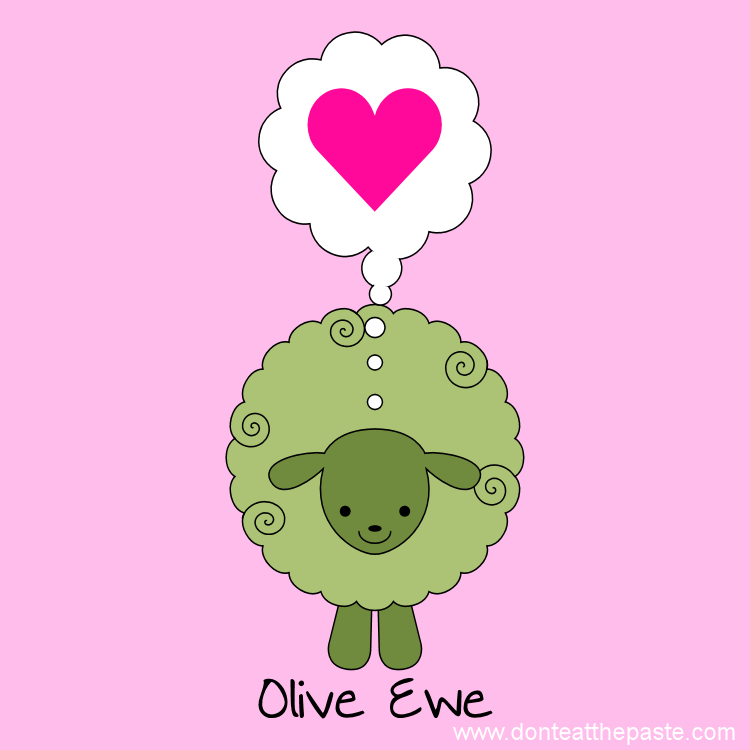 If you don't understand the joke, say the words Olive Ewe out loud. Better, say them to someone special. 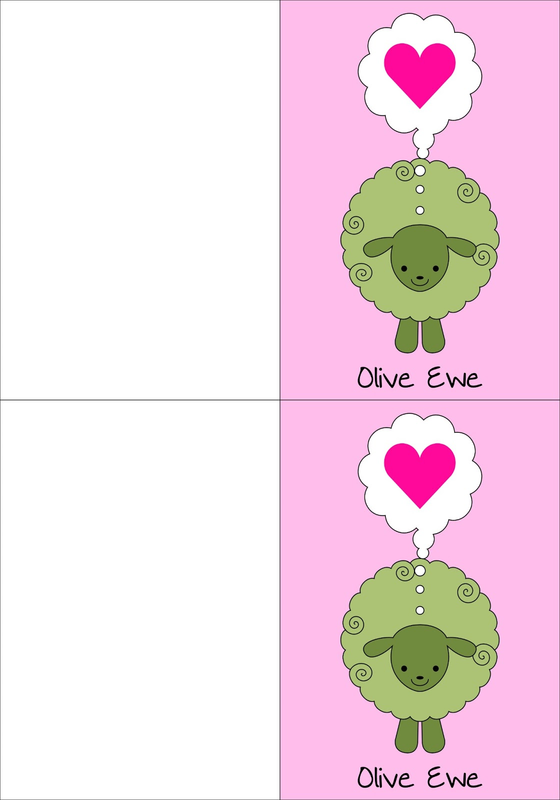 Printable Cards: Print on card stock. Cut outside black lines and horizontal center black line. 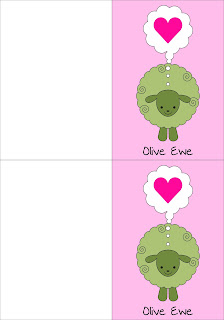 Fold each card in half on the black line in the middle and write a message inside!